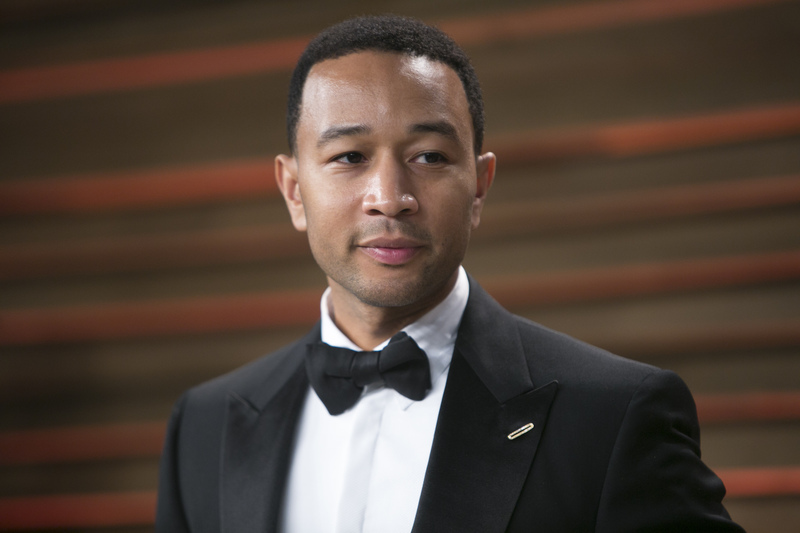 Singer, songwriter, and newly minted Oscar winner John Legend is adding a new title to resume: activist. On Monday, Legend announced the launch of FREE AMERICA, an initiative focused on mass incarceration in America. According to the Associated Press, Legend will begin visiting prisons across the United States to perform for inmates while also broadening the conversation on mass incarceration and the criminal justice system, which the songwriter calls "a serious problem." It's destroying families, it's destroying communities and we're the most incarcerated country in the world, and when you look deeper and look at the reasons we got to this place, we as a society made some choices politically and legislatively, culturally to deal with poverty, deal with mental illness in a certain way and that way usually involves using incarceration. Legend's first visit will be to a correctional facility in Austin, where he'll perform for prisoners and take part in a press conference with local legislators. The Oscar winner also plans to visit a California state prison in late April. The AP reported that celebrities are expected to join Legend's campaign, though names have yet to be announced. "I'm just trying to create some more awareness to this issue and trying to make some real change legislatively," Legend told The AP. He also name-dropped politicians who have been working toward reforming the criminal justice system — Senators Corey Booker (D-N.J.) and Rand Paul (R-Ky.). We probably shouldn't be surprised that Legend is taking a detour into criminal-justice activism: While accepting his Academy Award for Best Original Song for "Glory" in February, the singer-songwriter mentioned how mass incarceration is a new form of slavery in America. "We live in the most incarcerated country in the world," Legend said with the Oscar statue in hand. "There are more black men under correctional control today than were under slavery in 1850." Although some questioned Legend's statement, Politifact rated the statement "true." And according to Politifact Rhode Island, Legend wasn't the first person to publicly make the claim; it was Diego Arene-Morley, a student leader who serves as president of Brown University Students for Sensible Drug Policy. "There are more African-American men in prison, jail, on probation or parole than were enslaved in 1850," Arene-Morley said at forum on taxing marijuana last November. He later said he took that statistic from the book The New Jim Crow: Mass Incarceration in the Age of Colorblindness by Michelle Alexander. Our research found that U.S. Bureau of Criminal Statistics put the number of African American men under state and federal criminal justice supervision in 2013 at about 1.68 million -- 807,076 above the number of African American men enslaved in 1850. The Sentencing Project, too, puts that number at 1.88 million with local jails factored in. Given those alarmingly high numbers, Legend made a call for action on the Academy Awards stage in February. "Selma is now, because the struggle for justice is right now," Legend said at the time. "When people are marching with our song, we want to tell you that we are with you, we see you, we love you, and march on."